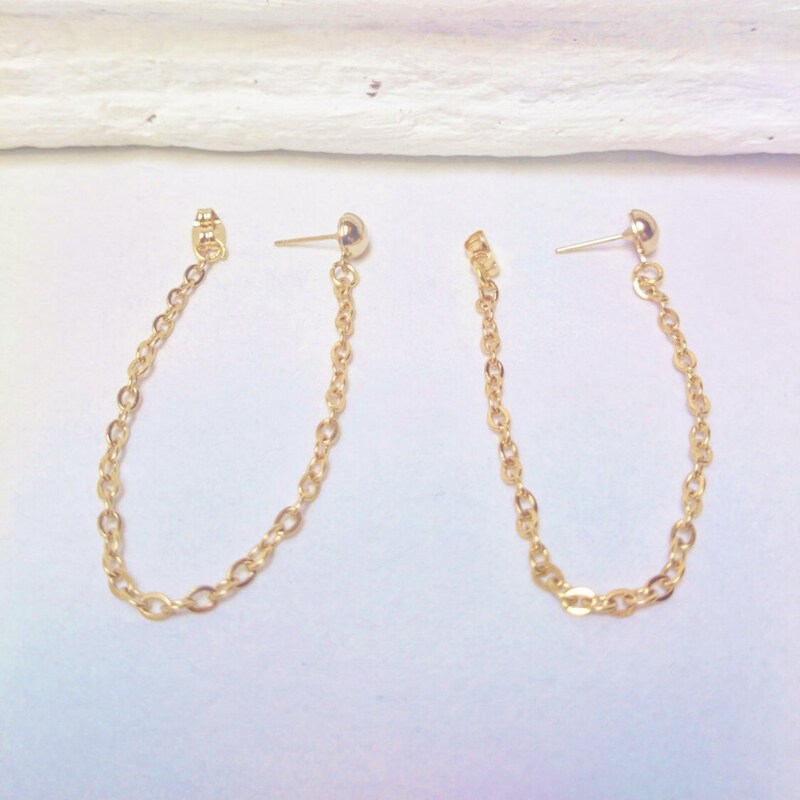 Ball and Chain Gold Minimalist Earrings all stainless steel//Gold Steel Chain earrings//Golden stud and chain earrings hypoallergenic. 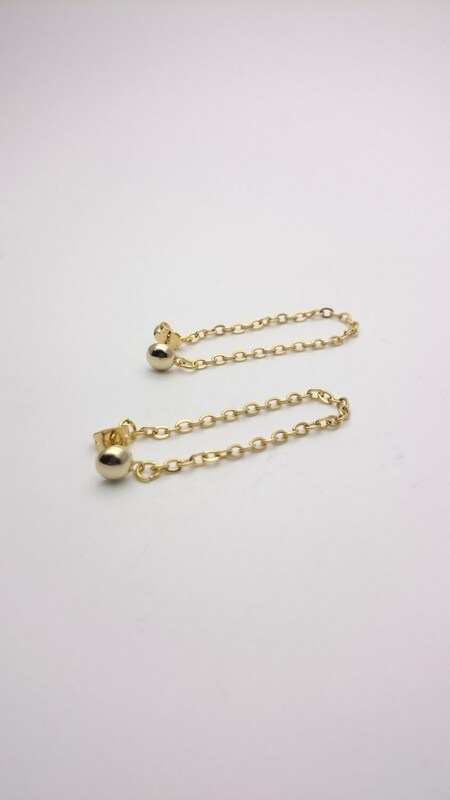 Long Minimalist Pendants Ball and Chain Earrings all gold stainless steel stud chains and earwires. 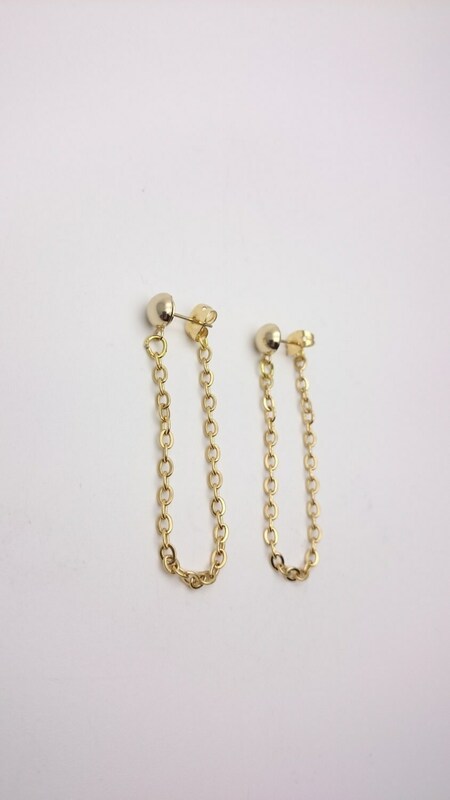 The entire earrings (with closures) are 6 cm/about 2,36 inches long. 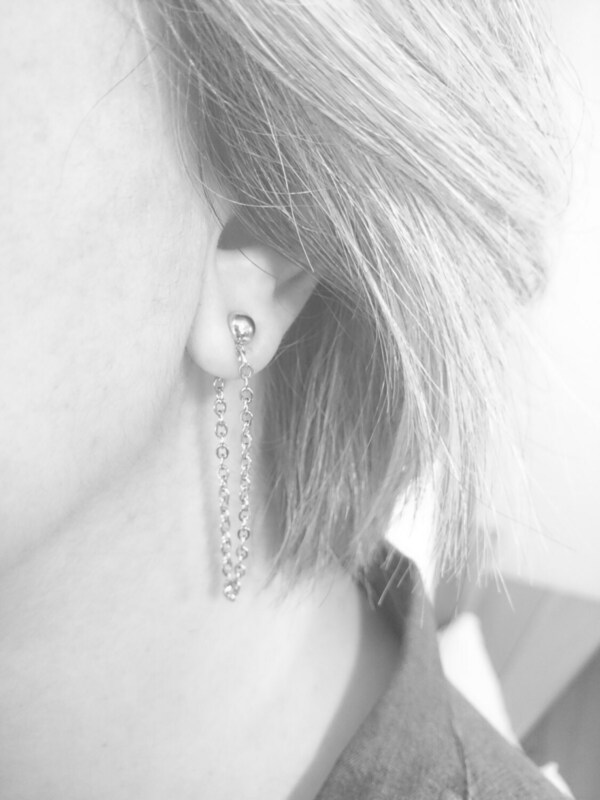 The black and white picture shows you the size of the earring. 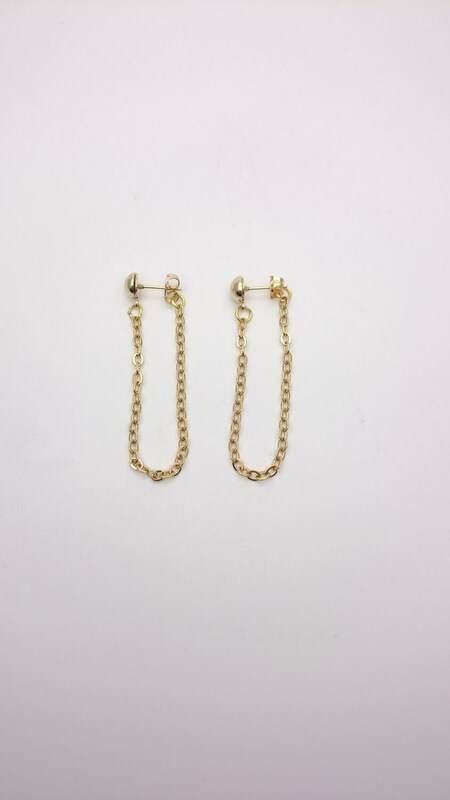 I can make these earrings shorter or longer if you want. Just indicate me the size you wish.